Pairs perfectly with your favorite sandwiches or salads. Classic savory beans and ground beef combine to make this Spring Glen Fresh Foods chili with beans irresistible! 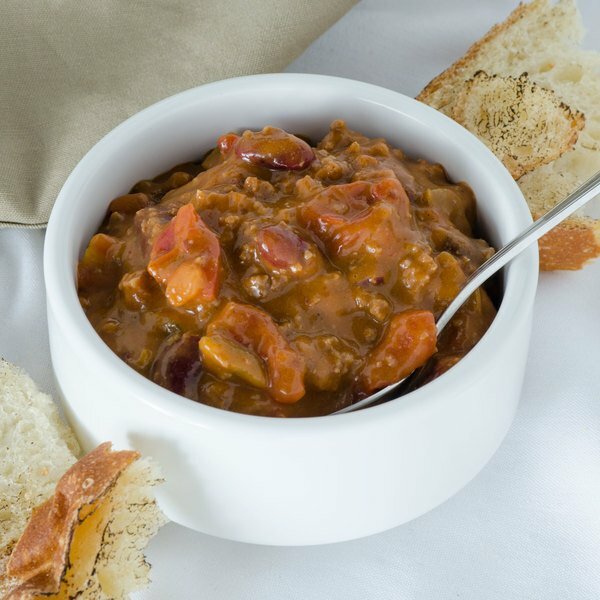 Sure to be a mouth-watering addition to your restaurant, your guests won't be able to resist this rich blend of hearty ingredients and spices. An original recipe, this chili recipe includes kidney beans, cooked ground beef, diced tomatoes, and savory chili spices, including onion and paprika. Garnish with shredded cheese for an extra treat! With its homemade taste, this soup is a great way to quickly and efficiently provide great service to your customers while saving you kitchen prep time. This chili is ready to use right out of the 5 lb. container; simply heat up and serve! This chili is perfect as a meal or appetizer. 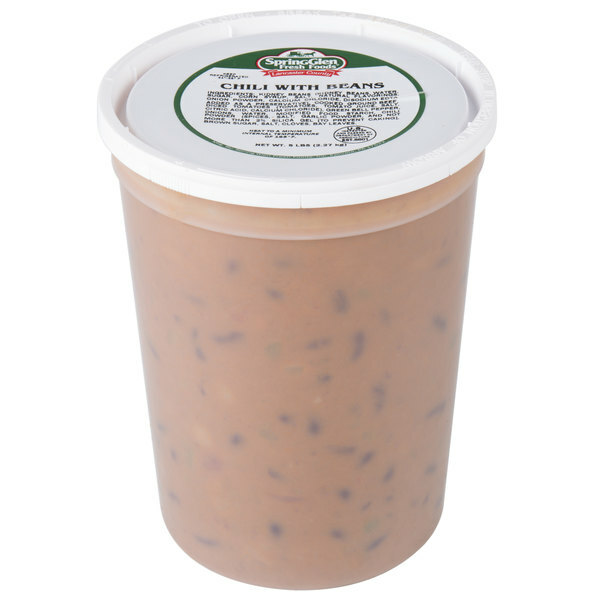 I am not a fan of pre-packaged chili, but, Spring Glen Fresh Foods Chili with Beans has changed my mind. Full of great ingredients like kidney beans, diced tomato, fresh ground beef, and chili spices, this chili aims to please. Your guests will never know how easy it was to prepare. The chili with beans is great and packaged super for easy warming and serving. The taste is great and the chili is great for winter days.